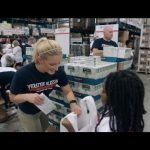 TEXAS, USA – Now that Hurricane Harvey has finally ended and the waters are receding, Operation Blessing volunteers have come out in the thousands to help the people of Texas. Craig is just one of the many volunteers, and he has a special desire to help flood victims because he received similar help just two years ago. 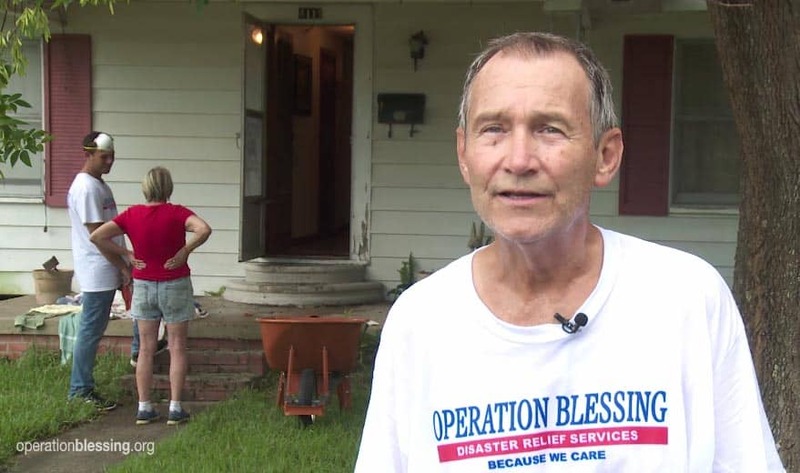 When asked why he was in Port Arthur assisting, Craig said, “The easy answer is the good Lord sent me.” As he sat at home watching the video footage of flooding in the area where he had grown up, Craig badly wanted to get involved. His current residence in the Wimberley section of Texas was struck by flooding just two years ago. He fondly recalled how much help and support he received from others at that time, and he wanted to pay that help forward. Craig discovered a list of ways to get involved on a website, and he specifically looked for a faith-based organization to partner with. Operation Blessing was the first one he found. They got back to him right away, and he was soon on the ground helping those in need. One of those people was a dear older lady named Sandy. 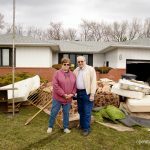 Sandy had been living in her flooded and molding home when Operation Blessing first met her. At the time, she seemed to be in a state of shock, fear, and brokenness. 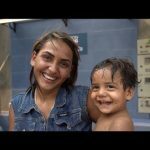 Operation Blessing and volunteers like Craig have been there to support and encourage her with prayers, help, and hugs ever since. Another OBI volunteer even ran out and bought her cat litter because the lack of it seemed to be the final straw that broke the camel’s back and sent Sandy into tears. 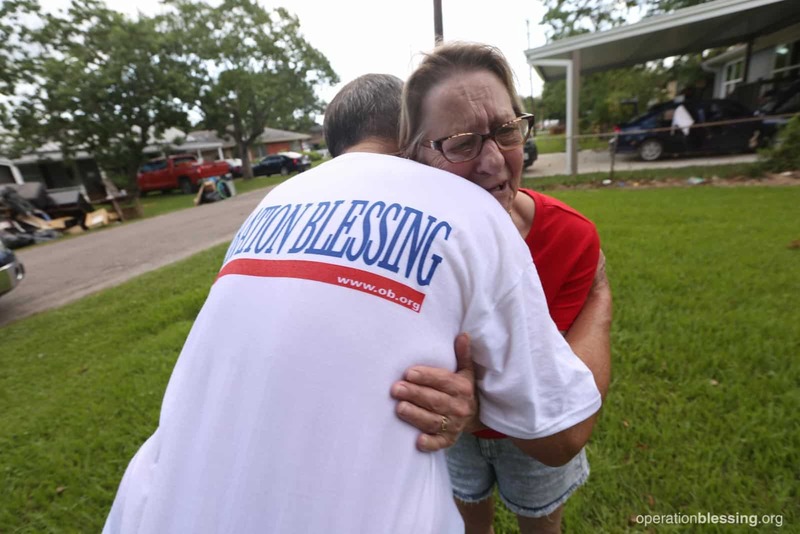 Those being helped by Operation Blessing are sincerely and incredibly thankful, but to that Craig says, “Thank the Lord…we are here being the hands and feet of Christ.” Thank you so much to the many Operation Blessing supporters and volunteers who are being Jesus to those in need in Texas! If you would like to help, you can donate now or sign up to volunteer. My 83 year old father from Port Arthur, TX, is in need of demo up with sheetrock and paneling in his home how can we get help? Harvey put a hole in our living room roof. Is there anyway we can get help fixing this? We are two 50+ year old women that can not get up on the roof to fix this problem. Any help would be greatly appreciated. Debbie and Pat. Hi Debbie and Pat, that might be possible. However, could you please call in your request to 757.274.8650. 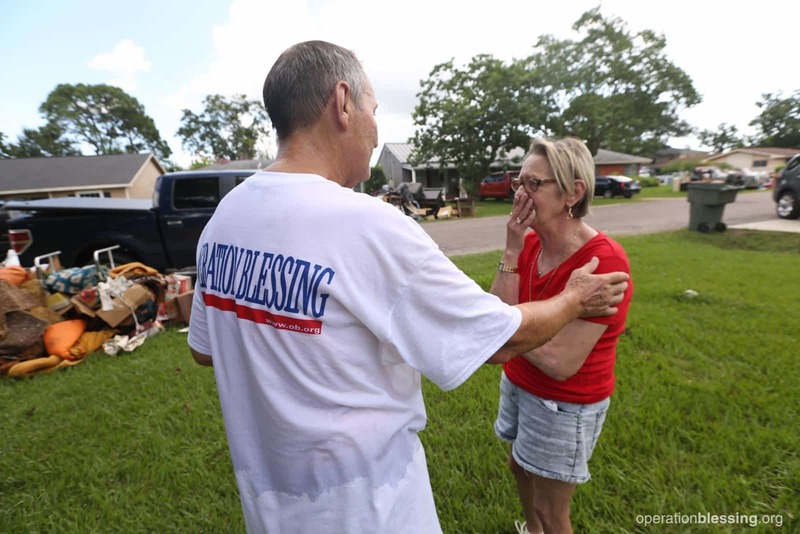 Operation Blessing will be set up receiving Work Requests from residents from 9:30 am – 4:30 pm (Monday – Saturday).